And we’ve got a very solid one along the Philadelphia mainline as well as throughout Bucks and Montgomery Counties. So if you are tired of your outdated, inconvenient kitchen or bath space and ready for a change you came to the right company…and website. Today, discriminating people everywhere are giving the kitchen and bath starring roles in their homes. Kitchens are no longer just cooking spaces, they’re gathering places. Baths are not just function-oriented, but places of practical luxury. Redesigning either or both not only greatly enhance the enjoyment of your home, but also adds to its value as well. 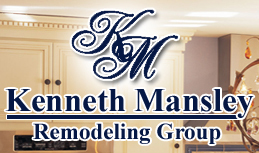 Take a peek at our Kitchen and Bathroom Galleries for an idea of how we can make your remodeling dreams come true. Along with the redesign, we can manage the project from first ideas all the way through to construction completion. Spend a little time browsing our website. We think you’ll like what you see. Then give us a call or fill out and submit our project estimate form for a free in-home consultation.